Your guinea pig hutch set up should include a large enough hutch, the right location, plenty of hay, food and water. Our article looks at exactly what you should be providing for your small furry. 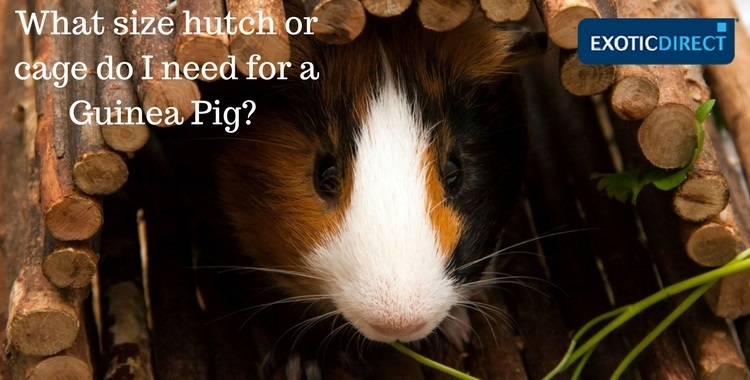 Is your Guinea Pig insured? Get a quote for up to £2,000 of vet fee cover | Insure up to 3 pets per policy | We’ve been insuring exotic pets since 1996 | Check out our customer reviews on Feefo. Despite her name, the guinea pig is neither a pig, nor is it from Guinea. This adorable rodent originated in the Andes and became popular as a household pet since being introduced to Europe by traders in the 16th century. Their life span tends to be around 5-6 years, but the longest living guinea pig has been recorded by the Guinness Book of Records to live to the grand old age of 14. While guinea pigs are small creatures, they do have very specific needs in order to stay healthy and happy. Find out about what hutch set up they need, and their other care requirements below. What size hutch or cage do I need for a guinea pig? A hutch for one guinea pig should be at least 90cm long by 70cm wide, whereas for two should be at least 1.2m long by 70cm wide. The hutch needs to be a minimum of 0.7sq meter for up to two animals, but 1sq meter is preferred if you have the space to spare. Despite their small size, guinea pigs need a lot of space to run around in. Most cages which are marketed as guinea pig cages are actually too small, particularly for more than one animal. The hutch must have a separate sleeping area and safe hiding places, pipes and shelter where the guinea pigs can retreat to when they feel afraid or need some peace and quiet (there must be enough places for all guinea pigs in the hutch to hide away simultaneously). Guinea Pigs do best when kept indoors, especially when they get plenty of attention from their humans. It doesn’t matter where which room in the house the hutch is kept it, but be aware that guinea pigs have very sensitive hearing so keeping them somewhere quiet is recommended. A room with access to the outdoors would be ideal, as they should also be allowed to graze occasionally – either through an outdoor run, or in a safe enclosed outdoor space. If you must keep your hutch outdoors, it must be predator and weather proof and out of direct sunlight – in a shed would be best. But make sure you still give your guinea pigs plenty of attention, as they are sociable creatures! Our article on Keeping guinea pigs outside offers lots of advice on this. Guinea pigs must not be kept in garages used for vehicles, as the fumes might kill them. Guinea pigs do not do well in extreme weather. They should not be kept outdoors if the temperature drops below 15 degrees Celsius, and should be kept away from heat sources when indoors. So not put them next to a radiator or fireplace, and not by a large window where they will get excessive heat from the sun in summer, or a draft in winter months). They are also small and vulnerable to predators – other animals should be kept away from the hutch, whether it is kept indoors or outdoors (this includes household pets), and the hutch should be predator proof if kept outside. If you're looking for a hutch, Jollyes sell a selection of hutches on their website. What bedding should I use for my guinea pig? In the winter months, make sure you provide your guinea pig with extra bedding to keep warm. The bedding should not be make out of anything fluffy, as this can cause injury and health problems if ingested. Softwood products, like pine and cedar wood, can also be harmful to the guinea pig’s health. The best bedding for guinea pigs is hay, which provides the main component of their food (more on this below). Your guinea pig's run should be big enough to run around in, get sufficient exercise and to graze. If you want to make a run yourself, you should use a sturdy mesh, at least 16 gauge or less. You should build the frame first, so that you end up with several panels. You should then attach the wire mesh. You can do this using either a staple gun or U nails. You should trim off any ends of the wire mesh, and push the ends into the panels. You can then attach the panels to each other, ensuring the wire mesh is on the outside. You can do this using self tapping eyes, these look a bit like hooks. You can put them into the ends of the panels. You should then push coach bolts through the hooks, thus hooking one panel to the other. It's a good idea to also include a roof on the run, to prevent cats or foxes trying to get at your guinea pig. Find out how else you can fox and rodent proof your run. Don't be tempted to leave your guinea pig in her run overnight because foxes again may try to get at her. When indoors, your guinea pig can be let loose to explore under supervision, but make sure she cannot escape and that cats, dogs and rabbits are kept out of the room. Do guinea pigs need hay or straw? Yes. Hay is vital to keep the guinea pig’s digestive system in good working order and should function as the largest ingredient in her diet. Make sure it is dust-free though! Hay should be readily available at all times, and forms an important part of your guinea pig's diet. In winter, hay can be used as extra bedding to keep your guinea pig warm, and will also double up as food (so should naturally be topped up regularly). Water is crucial for the health of a guinea pig. She must have a constant supply of fresh water, checked twice daily (in winter, it is important to regularly check the water has not frozen). Guinea pigs also need vitamin C to stay healthy (much like humans, they do not produce it naturally). Pellets specifically designed for guinea pigs can be purchased from pet stores and online at retailers though these can degrade over time (keeping them in a cool dark place helps preserve them), so many owners choose to give their guinea pigs vitamin C supplements in addition to the pellets. Leafy greens such as broccoli, spinach, parsley and kale are also a great source. Citrus fruits are largely best avoided. You can buy some guinea pig food and treats from Jollyes, who also sell online. 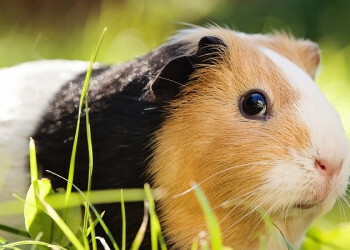 Never feed your guinea pig lawnmower clippings, as these can cause serious health issues. Allowing your guinea pig to graze on your lawn is fine, and is encouraged. Grass is very important for your guinea pig’s digestive system. In the wild, guinea pigs graze on grass, herbs and some plants, like dandelion. Grass is not just important for their digestive system, but also for their teeth, which grow continuously. Eating grass and other leafy foods helps to wear their teeth down to the correct length and shape. 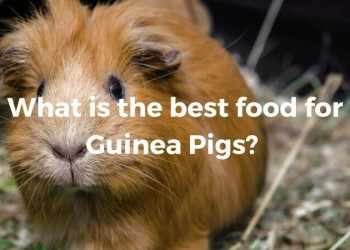 Fresh vegetables can also be included in your guinea pig’s menu, but root vegetables and fruit should only be given as treats, as they are not a natural part of her diet. Avoid making frequent changes to your guinea pig’s routine and introduce foods gradually. Even with the best care your Guinea Pig could still get ill. Our Guinea Pig insurance offers £2,000 of vet fee cover, so at times off illness you can focus on your Guinea Pig, not the cost of treatment. Can you litter train a guinea pig? Yes, but it may take some time. Unlike cats and dogs, guinea pigs cannot communicate to their owner when they need to ‘do their business’. They are also a lot less likely to understand what you want them to do. However, with the right guidance, you might still be able to train your guinea pig to potty in one certain area. An important thing to understand is that, in the wild, guinea pigs have no defence against predators. They do not attack and will just freeze if threatened. For this reason, they prefer to keep all of their activity to dark areas where they feel safe. If you’re going to put a little tray in a guinea pig’s cage, you should put it somewhere dark and fairly enclosed. It will help to put their food in the same dark area, as guinea pigs like to potty in the same place they eat (a little gross, but that’s nature for you). Just place a small tray in a dark, covered part of the cage, with a bit of newspaper and some bedding on it, and, after a while, your guinea pig should start to use this as a litter tray. You might still find waste in other parts of the cage occasionally, but it will be much easier to keep clean. Should guinea pigs live together? Absolutely. In fact, guinea pigs crave the company of others of their kind and will do best in pairs or small groups. Pairs and groups should be kept to either all females, all males, or females and a neutered male. Females can be kept in pairs, as can neutered males (preferably if they had been together from birth). 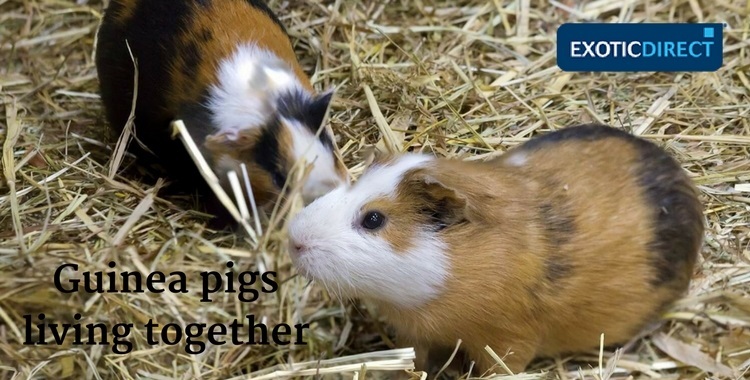 It is best to introduce the guinea pigs to each other as babies, to encourage bonding, but adults can also bond (this may not always be the case though). Is it okay to keep rabbits and guinea pigs together? Never keep guinea pigs in the same hatch as rabbits, as the guinea pigs may be hurt. The best toys for guinea pigs would be pipes and tubes that they can run through. Cardboard boxes also make for excellent DIY tunnels. Avoid plastic toys, as these can be harmful if ingested, but wooden chew toys, like fruit tree and willow tree sticks, are great, as guinea pigs enjoy gnawing and chewing. Chew toys specifically designed for guinea pigs are available in pet shops and online. Jollyes offer a range of guinea pig toys on their website. These are intelligent creatures who love to explore their surroundings and so hiding small amounts of food around their enclosure is another great way to keep them entertained. Just make sure you don’t leave the food lying around for long periods of time, as the guinea pigs’ environment must be kept clean. To give your guinea pigs some extra exercise and interest, you can either build or purchase a ramp for them to run up and down. This can either be to connect multiple levels of their cage, or as a separate play area. Be aware though that they might not be able to figure out how to use it, or simply not be interested. Placing food or treats at the top and bottom of the ramp might help, as can lining the ramp with fleece to give the guinea pigs some grip, or creating a roof for it to make them feel more secure. There is much debate about whether it is better to use water bowls or bottles for guinea pigs. With bowls, they should be kept off the ground to avoid the guinea pigs fouling in them. Some guinea pigs will not drink from bottles, but it might be worth a try, as it is also safer for the guinea pigs (some guinea pigs find it difficult to drink without inhaling the water into their lungs). Either way, the water should be replaced regularly (twice daily is recommended) to make sure it is fresh. Your guinea pig’s food bowl should also be kept off the ground, for the same reason. It should be cleaned regularly, to avoid illness (the dish should be rinsed every time the food is replaced and washed more thoroughly – with a small amount of washing up liquid – two to three times a week). The bowl should be heavy enough that your guinea pigs cannot overturn it. These items can all be purchased from pet shops or online. Guinea pigs are much less likely to understand instructions than animals such as cats and dogs. In the wild, guinea pigs are extremely vulnerable and so they get scared very easily. While it is possible to train your guinea pig and, once they feel comfortable in their environment, they are likely to show affection and enjoy being handled by their humans, yelling at them will do nothing but turn them into timid, unfriendly animals. Guinea pigs must always be treated gently and not be exposed to loud noises (including raised voices) as much as possible. If a guinea pig has had a bad experience with humans in the past, it is likely to take more time to accommodate to its new surroundings and owners, but with love and gentle care, it should eventually become a happy, well-adjusted pet. As they are small and fragile, they may not be suitable pets for very young children, but older children should be fine, as long as they understand they must handle their guinea pig with care. An important thing to remember is that, unfortunately, guinea pigs do sometimes end up in shelters. So, if you are thinking of getting a guinea pig, do have a look at websites like the Blue Cross and the RSPCA for your new little buddy. The love you will get in return will be more than worth it! Can I preserve the wooden base of a guinea pig hutch? To avoid the base of the hutch being ruined by the guinea pigs' waste or by spilt water and food, many owners line the bottom of the cage with plastic sheeting or lino. These are often available from carpet shops and you may even be able to get the material cheaply or for free if it is cutoffs the store. Make sure you cover the lino or plastic with newspaper and with bedding as well, to keep the flooring of the hutch soft, and to avoid your guinea pigs nibbling on the base material, which can be harmful to them. Correx is another useful material for making waterproof trays. For home made wooden structures you can also use resin (the sticky stuff that comes out of trees). It can be bought in cans (hardwear or boating shops would be a good place to look, as resin is actually used to waterproof boats) and spread over your wooden base to create a plastic coating that keeps the wood safe from liquids. It is best to only use this on the base of the hutch, and possibly the lower end of the walls, so that your guinea pig cannot chew the coated areas (resin is generally pet safe, but it's best not to take any risks). Thanks to LooBoosShedZoo 'Keeping a Guinea Pig Cage Waterproof using Resin', available on YouTube for this tip. 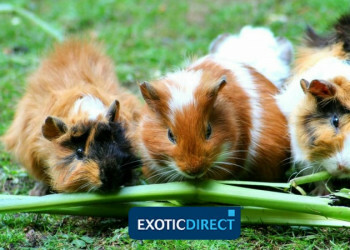 We offer Guinea Pig insurance for up to £2,000 of vet fees. Why not get a quote now and find out how much it would cost?